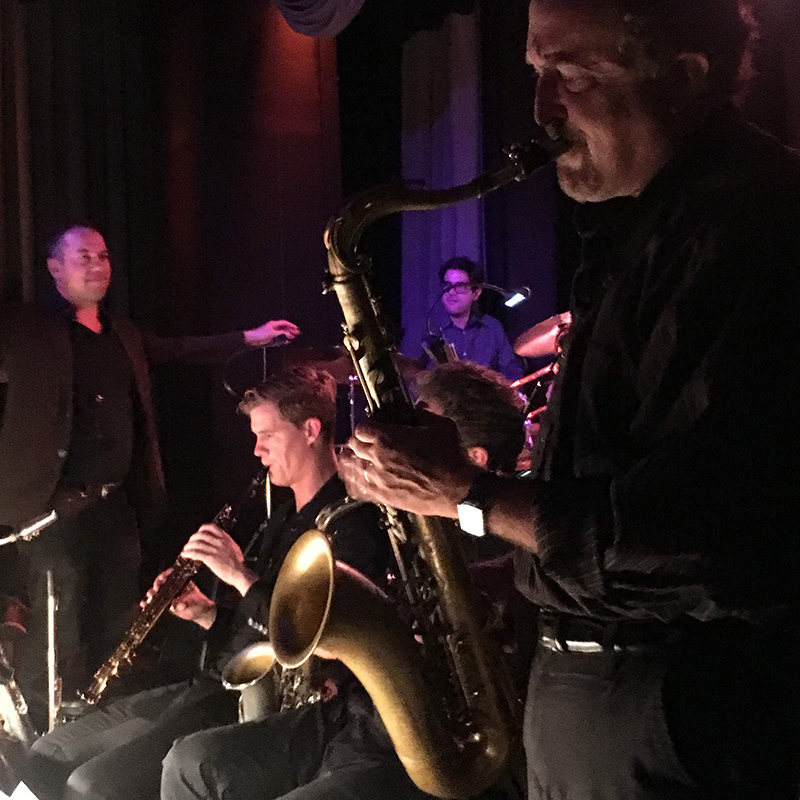 Painting of saxophonist Steve Steinberg as he played with the Fil Lorenz Orchestra at the Local Edition in San Francisco. 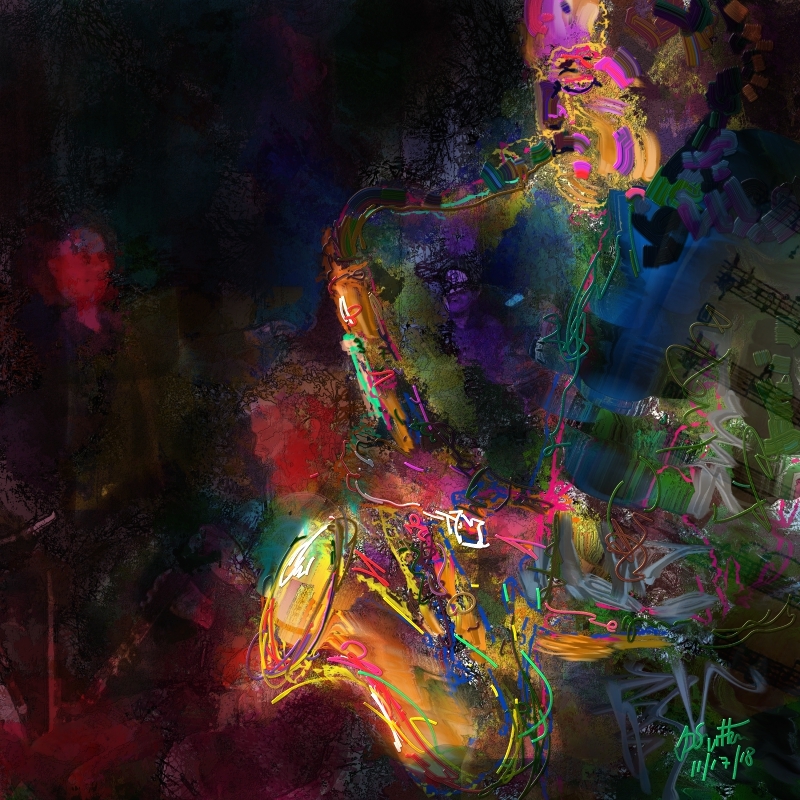 This painting was created using Corel Painter 2019 on an iMac with a Wacom Intuos Pro M graphics pen tablet. This painting was painted as a demo during my live interactive online session “PainterLab 73”, part of my online learning membership web site PaintboxTV.com. The full recording showing every step in the creative process is posted on PaintboxTv and available to all PaintboxTV subscribers.